Dave Keller's Daytona Cubs went all the way to the Florida State League title in 2013 and they did it with top performances all season, according to Baseball America. For the Daytona manager, he could only marvel. "I've been in professional baseball for 31 years," Keller told Baseball America that December as his club won Team of the Year honors, "and there was stuff I hadn’t seen in either forever or a long time." Keller's 31 years to that point included time as a player and as a coach and minor league manager. It also included three seasons spent in the majors as the bullpen coach for the Cleveland Indians. Keller's long career began in 1982, taken by the Reds in the 28th round of the draft out of the University of Northern Colorado. Keller's playing career was brief, lasting just three seasons. He played 1982 at rookie Billings, hitting .298. He then hit short-season Eugene in 1983, doubling and scoring in a June game. His final games came in 1984 in Florida. By 1986, Keller was a coach in the minors, serving as hitting coach at single-A Tampa. He then moved to managing. 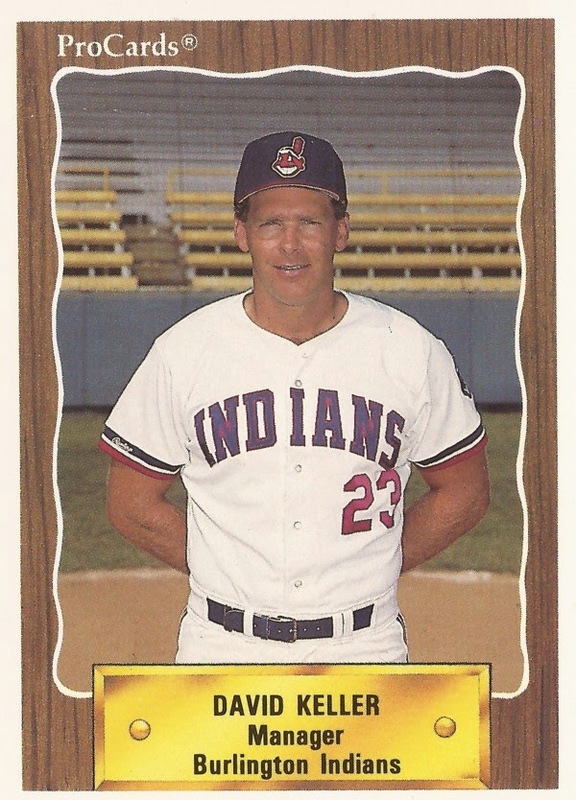 He spent three seasons at rookie Billings with the Reds and then moved to the Indians as manager of rookie Burlington. He moved to high-A Kinston in 1992. In 1997, he hit AAA Buffalo as hitting coach. It was in 2001 that Keller made the majors with the Indians as bullpen coach. He stayed on there through 2003. He moved to the Cubs as minor league hitting coordinator in 2004. He served as hitting coach at AAA Iowa in 2012, then moved to manage Daytona in 2013 and 2014. He's listed for 2015 as the Cubs Latin American field coordinator. Back in 2013, Keller watched over a young Jorge Soler at Daytona. "When he swings at strikes and uses the whole field, then good things happen," Keller told MiLB.com of Soler. "He has bat speed and power to all fields, which makes him different from most guys."